A still life is a drawing or painting that focuses on still objects. The subject matter is inanimate and never moves, typically with a focus on household objects, flowers, or fruits. Still life work contrasts figure drawing which focuses on a live human model. With a still life you know the objects won’t ever move and you can practice objects with different properties like shiny metal, clear porcelain, or bulbous apples. Fruit bowls are a popular choice because they’re made up of simple shapes and everyone has fruit lying around. 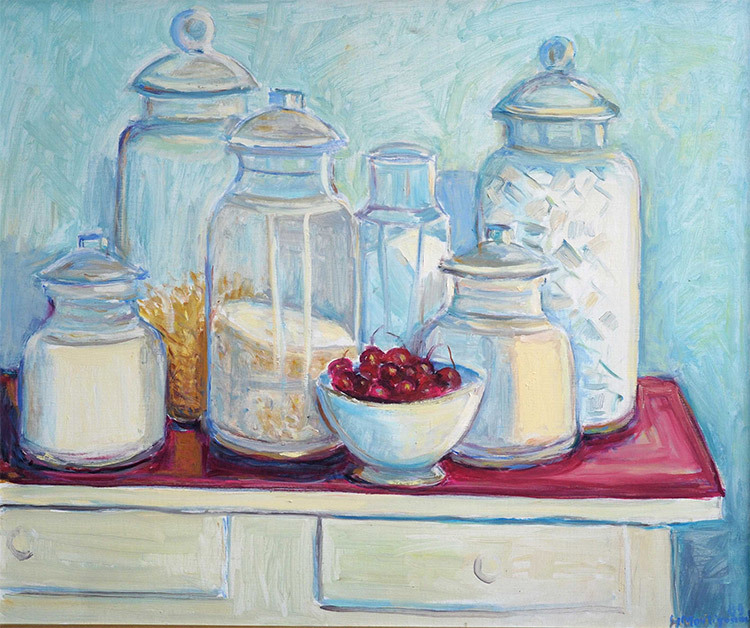 Creating a still life is a starting point for someone to practice fundamental skills. When drawing inanimate objects you can be sure they will stay in the same position until you move them, making it an easier task for beginners. Still life artwork comes in many different styles and mediums. The brush strokes can be loose and wild or precise and bold. As long as the subject matter remains inanimate, even pen and pencil can create a still life piece. Starting off as a way for students to practice shape and form, the still life has evolved into a fully-fledged genre of art. Artists predominantly use paints like oil to complete their work but watercolor, acrylic, and carbon pencil are also popular. You can arrange any collection of inanimate objects to be the subject of a still life. In an art class the instructor will most likely arrange the composition for you. But when working on your own projects you have full control. The beauty is that you can limit the amount that you reference from a photograph and instead create directly from life. When the still life genre was recognized many freshly killed animals and old skulls made their way onto the canvas. Even today this is a popular trend. These objects served as grim reminders of the briefness of life and a subtle warning that worldly possessions do not follow you into the afterlife. Flower arrangements – Bouquets or vases of flowers are one of the most popular subjects of still life artworks. Table spreads and foods –These artworks contain everything from dead birds to sliced fruit to untouched banquet tables. Common objects – Normal objects that you would find lying around your house suddenly transform into the subject of your art. They can be in a specific arrangement or placed to tell a story through visuals. 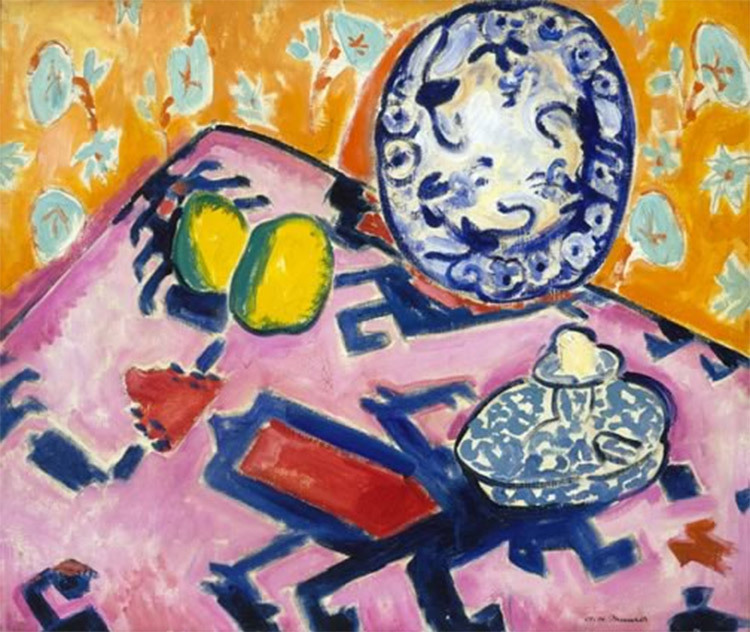 Symbolic arrangements – By utilizing visuals, composition, color, and subject matter, an artist can paint objects that represent symbols or patterns for their still life work. Let’s take a look at some examples and varying styles of still lifes. These should grab your attention in different ways and help to illustrate the purpose of this practice. 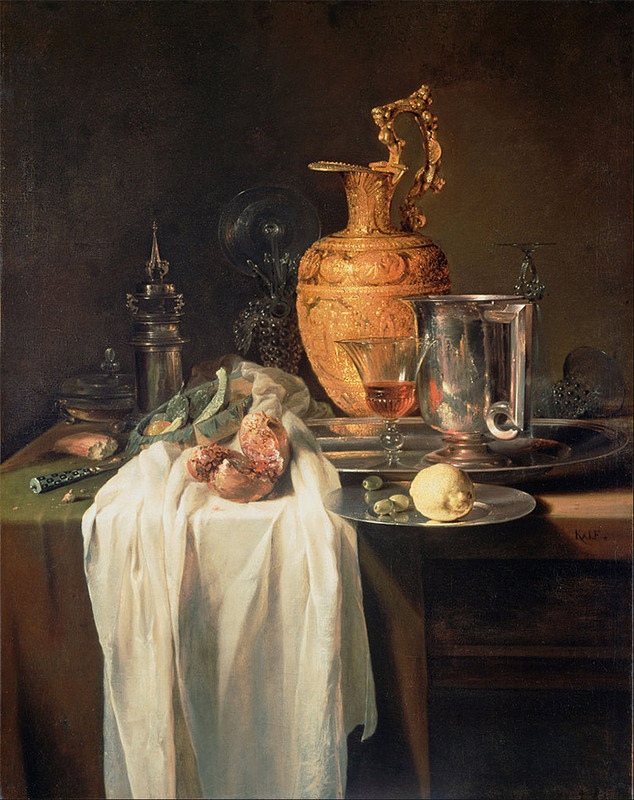 This style of still life originated in 17th century Holland during still life’s height of popularity. Luxurious possessions of the rich are displayed in these paintings and often belong to the person who commissioned them. They were seen as status symbols and celebrated the success of Dutch trade. In this still life we see a delicate pouring jug and other cutlery, some gold work, fine china, and a pomegranate cut open. All objects are painstakingly rendered to look as realistic and impressive as possible. 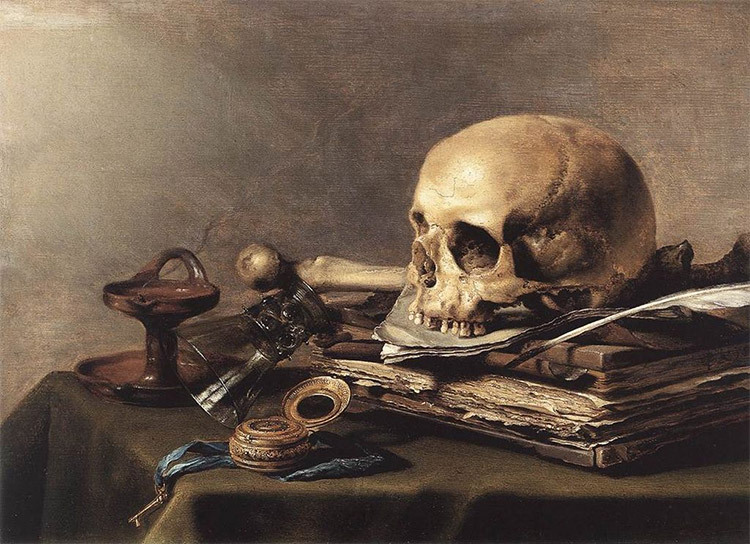 Vanitas also originated from Holland and was designed to warn against pursuing vanity. As seen in this painting, the point is driven home with a skull placed next to now-useless worldly possessions of the deceased. Fauvists painted works with bold, bright colors, exaggerating everyday scene. Popular in the 19th century, many find this style charming and cheerful. As seen above the many different elements and colors all fight for dominance in the painting. There isn’t any single real focal point that emerges from this piece. Both the tablecloth and the wall are covered with bold, attention-grabbing patterns that captivate the eye. Started in the 20th century, Cubism was an abstract multi-direction way of depicting the world. The famed style of famous artists like Pablo Picasso and Juan Gris, this abstract scene forces the viewer to look at life from a different perspective. 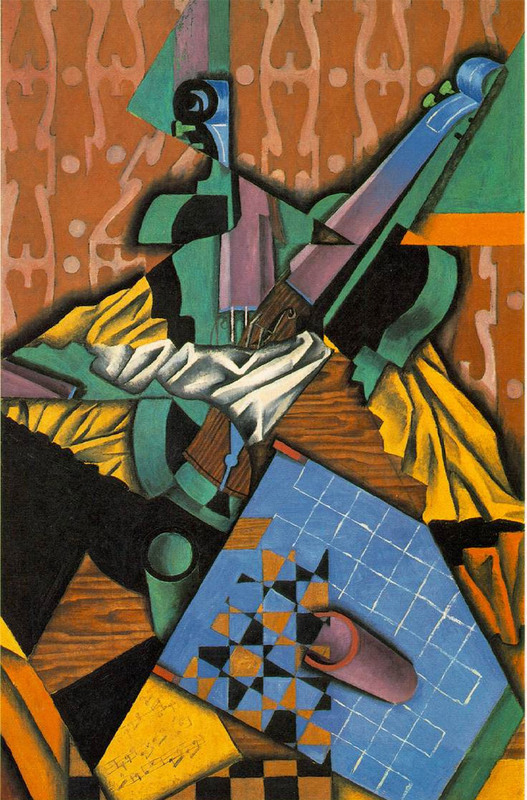 In Violin and Checkerboard the scene has been broken up with harsh directional lines that mash different views of the still life subject matter together. Stylizing objects into bright colors and bold lines was the hallmark of pop art. Flattened down and often comic book-like, still life in the pop style almost always makes a bold statement or satirical comment on society. Andy Warhol was one of the first and most famous pop artists in the world. Before he was at the height of his fame he created the now-beloved Campbell Soup Cans. Each can is meticulously hand painted with no hint of shading or any light source. 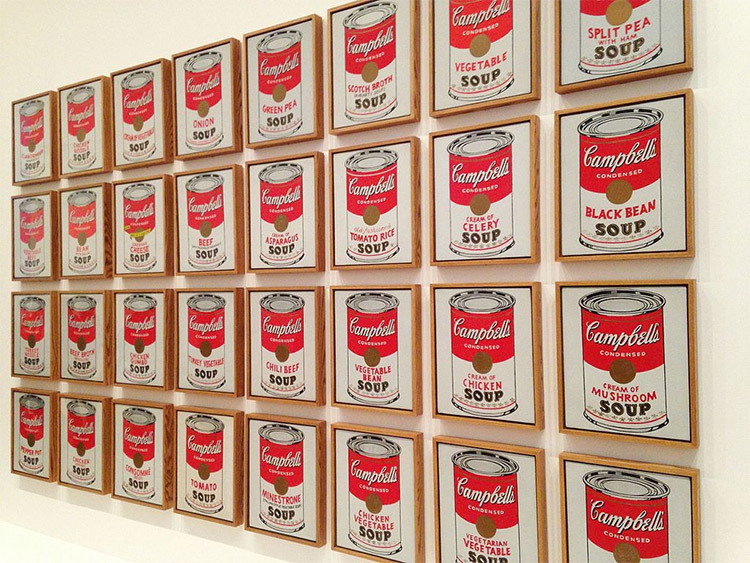 Placed together they form a repetitive wall of soup, this acts like an homage to when Warhol himself ate Campbell Soup every day for lunch. If you want to improve your skills to realistically render an object from life, practicing many still life pieces can drastically increase your capabilities. Fast. You will learn how to compose a scene using shapes, introduce a complementary color scheme, and render realistic lighting. This all trains your eye which ultimately improves your skillset as an artist. Since the arrangement of the objects is up to your discretion and your subject never moves, a still life is perfect for experimenting with new styles and conducting focused studies. Find objects and arrange them in the composition you want. Choose the angle at which you will be drawing from and decide if you’re going to use natural light or an artificial light source. Begin sketching out the arrangement of your objects on a canvas to create an outline. Once you have the basic shapes it’s time to start shading. Most artists start with the background and the darkest shadows. Layer the objects in the foreground on top of the completed background. You can find full documentation on how to do this here. Add highlights throughout the painting and pay attention to spots with extra shine. Refine details and consider ways to make your composition even better. For a bright finish, add a thin layer of glaze to your work. If you’re eager to get started with a still life project but are unsure of what to use as a subject matter try grabbing some fruit or popcorn and get drawing! This unique and timeless art form will enhance your appreciation of the arts and get you thinking differently about the ordinary objects you see every day.